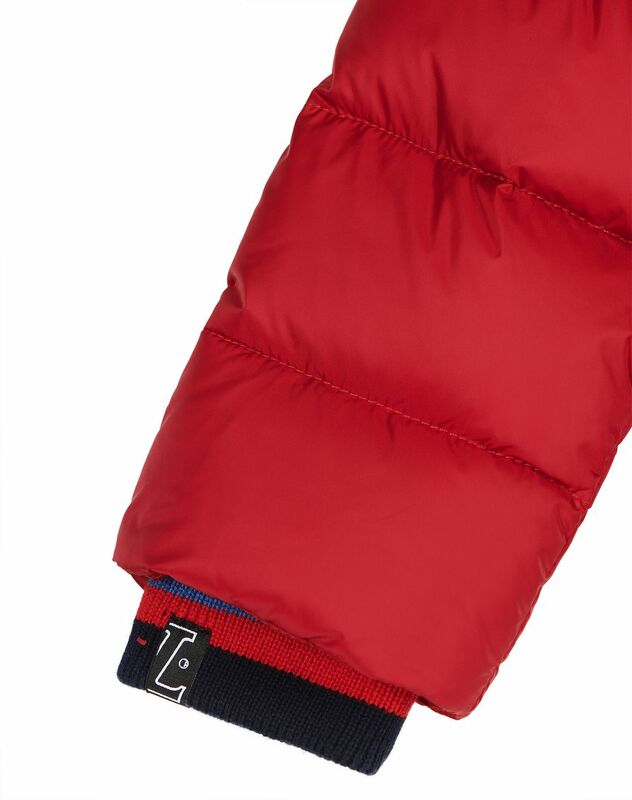 Long-sleeved red hooded winter jacket, front hidden zipper and exclusive Lanvin-engraved oval pull, striped ribbed small collar and cuffs, side pockets. 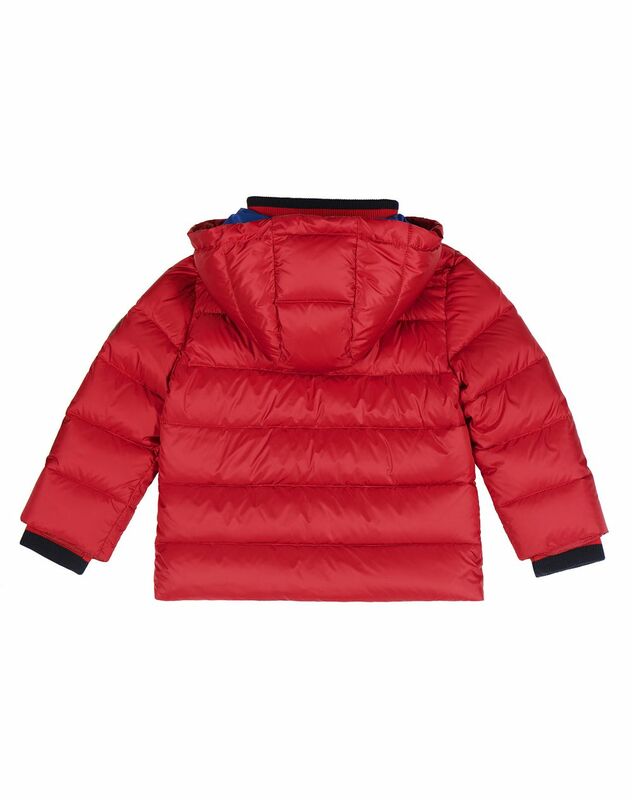 A winter essential, this puffy hooded jacket for boys is practical and comfortable. 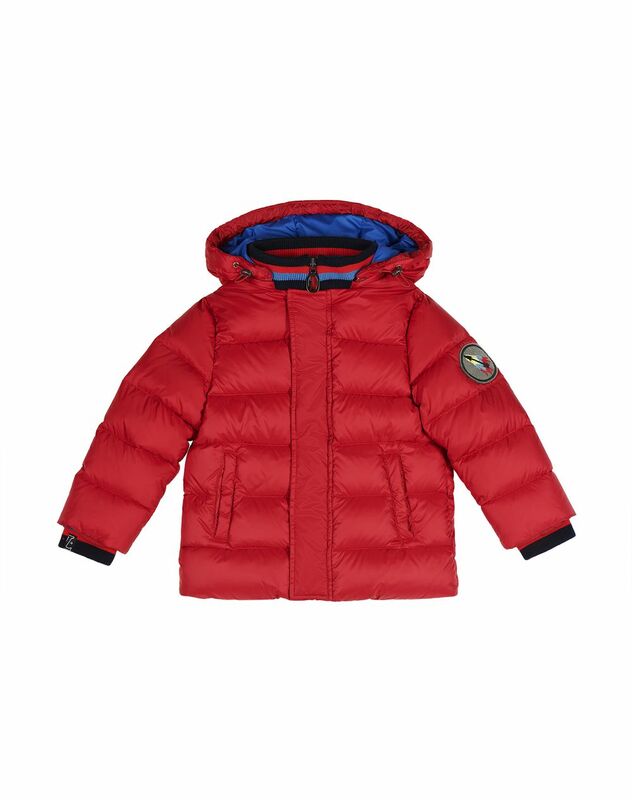 It stylishly completes your children's outfits and stays with them all season long. The exclusive patch on the side of this model is the signature for this season. Main material: 100% polyamide. Made in Italy. Care conditions: Do not machine wash. Do not use bleach. Do not tumble dry. Iron at low temperature. Dry cleaning.